If we were to make a list of female legends in the music industry, Bettye LaVette would certainly make the list. She ventured into music when she was sixteen and has grown in the industry since then. She has spent over five decades as a music artist and has gone ahead to smash a lot of awards because of her notably outstanding performances. Of course, Bettye had her struggles not until 2002 when she gained more prominence after she released her track; A Woman Like Me. Find out more about her background as well as other unknown things about her in the facts below. Bettye LaVette was born as Betty Jo Haskins on January 29,1946, in Muskegon, Michigan. She left Muskegon for Detriot when she was six and stayed there throughout her growing up days. Her parent’s names are not available but sources say that her family survived from the stipends they got selling corn liquor in their living room. Also, she grew up amongst other celebrated music bands like, The Soul Stirrers, The Blind Boys of Mississippi, and many others who often took rest in her home before en routing. Unlike many of her contemporaries, Bettye started practicing on how to sing in her living room where there was a jukebox, filled with music jams. During her early days, she specifically was a lover and fan of The “5” Royales, Dinah Washington, Bobby “Blue” Bland, and Red Foley. At the age of 16, she ventured fully into the music and decided to change her name to something more dramatic and thus, the name Bettye Lavette was chosen. Afterward, she recorded her debut single, My Man- He’s loving Man in 1962 following her sealed deal with local record producer, Johnnie Mae Matthews. The single was selected by the Atlantic for national distribution and was also charted as the number 7 spot on the R&B chart. Because of the success of that album, she had her first national tour with Ben E. King, Clyde McPhatter and a lot of others. Bettye LaVette’s second single; Let Me Down Easy (1965) also took a spot on the chart, she recorded a few more music gigs with her former producer before deciding to sign with Silver Fox label in 1969. With her new label, she recorded a few more music gigs in which two of them; He Made A Woman Out Of Me and Do Your Duty made it to the Top 40 R&B hits. She further signed with the Atlantic/Atco before recording her full-length album Child of Seventies at the Muscle Shoals Sound Studio in Alabama. The latter part of the 1970s saw to her numerous music releases and in the early 80’s she released her debut album, Tell Me A Lie. The track, Right In The Middle on the album hit the R&B Top 40. For a while, Bettye LaVette took a sabbatical leave, training behind closed doors and engaging herself in a lot more rehearsals until 1999 when Gilles Petard licensed her album Child of the Seventies and reworked it releasing it as Souvenirs in the following year. At that same period, she released a few other recordings including Let Me Down Easy and A Woman Like Me. 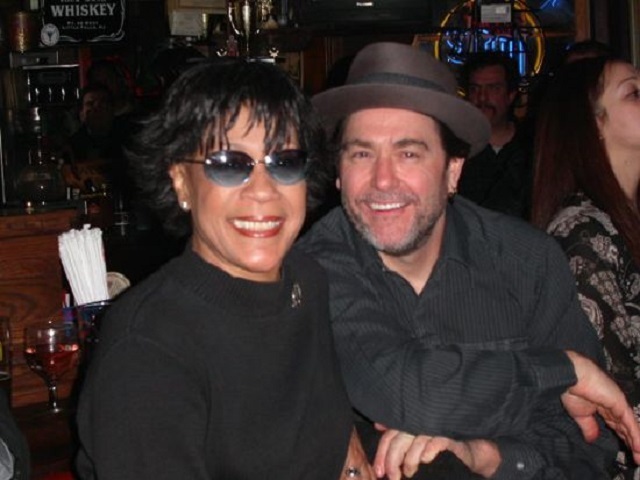 After performing at Mike Kappus’ birthday party, Bettye LaVette signed a three-year contract with him. Together, they released their first project; I’ve Got My Own Hell To Raise, the song received a lot of critical acclaims and was listed on the list of Best of 2005. However, the CD was never submitted to the Recording Academy for Grammy consideration. In the following year, the music artist was honored with the Pioneer Award from The Rhythm and Blues Foundation. She later went ahead to release her album, The Scene of the Crime; a song she recorded under Muscle Shoals’ FAME Studios with alt-rockers Drive-By Truckers. That album was later nominated for the Grammy Award for Best Contemporary Blues Album and also made a hit on the Best of 2007 lists. As the years rolled by, Bettye LaVette kept at her best, releasing several musical works and bagging a lot of awards. She was inducted into the Michigan Rock and Roll Legends Hall of Fame in 2018. At the 61st Annual Grammy Awards in 2018, her album Things Have Changed was nominated for Best Americana Album and Best Traditional R&B Performance. Bettye LaVette first experienced love as a teen, sources say that she got pregnant when she was 14 having met a certain Alphonso ‘Pinky’ Mathis who she fell in love with because of his spectacular dance steps. The two lovers would, however, come to break up a year after Bettye’s pregnancy. In 2003 however, she married Kevin Kiley who she is still married to till today. Having known that she got pregnant in her teen, the next probable question will be that of whether or not she carried the pregnancy and gave birth, who the child grew to be and what became of him or her. We have it in good record that Bettye LaVette gave birth to a daughter in 1962 who she named Terry. The tot was raised mostly by LaVette’s elder sister and mother. Terry then grew from being a child to becoming an adult off the spotlight and is today married with kids. This then means that LaVette is a grandmother. From her many musical endeavors, the artist has made a lot of money. She has sold over 9 albums and has released more than 15 singles. It is believed that she is estimated to be worth $1.3 million. When Bettye was born, education was not considered as one of the basic ways to be groomed in life. Putting that into consideration, no one knows if she truly attended any school as details about her education are nowhere near the records. Unlike other celebrated female artists in the music industry who has gone ahead to have several plastic surgeries to perfect their physique, Bettye has never undergone any contrary to the many erroneous speculations going on that she had gone under the knife.